Kipi Investments has no head office, CEO or legal structures in place. Accordingly, investors took out their frustration on social media. One member, Anelisa Ntozinhle Mbolekwa complained of being harassed by her recruits, who had invested hundreds of thousands of rands into the scheme and received no returns. Mbolekwa was forced to relocate as a result of the harassment, she claimed on Facebook. Another member, Phindile Makhanya posted that she had given up on her money and all she could do was hope for a miracle. After waiting months for their investments to mature, members could not withdraw their money. They were last paid dividends in December. On its Facebook page, Kipi stated that its system was frozen because of hacking. At the end of January, Kipi responded by posting a letter on its Facebook page. “Everyone suffered by the hackers’ attack will get the reimbursement in full amount [sic],” the letter read. According to the Consumer Protection Act (CPA), a pyramid scheme promises investors an interest rate 20% higher than the repo rate, which is presently at 7%. Kipi Investments promises a R2000 return, after investing R100 for three to four months. According to reports, Chris Walker introduced the scheme to South Africans in 2013. Walker masterminded the R800-million Defencex scheme. He could not be located for comment. Following an assessment by the National Consumer Commission (NCC), Kipi is now among eight schemes under investigation by the Hawks. After receiving complaints regarding potential pyramid schemes from the South African Reserve Bank (Sarb) and Financial Services Board (FSB) last year, the commission delivered a report to the Hawks early February for further investigation. The practices and business models of nine organisations were assessed by the Commission to ascertain if there were any breaches of the CPA. The organisations assessed were WorldVentures, Make Believe, Kipi Investments, NMT Investments, MMM Scheme, Instant Wealth Club, Dipesa, Wealth Creation Club and Sikhese. The Commission were unable to contact Sikhese, Make Believe and Wealth Creation Club. When asked to comment, MMM did not respond. No contact details were available for Instant Wealth Club and its website was shut down. NMT Investments fell off the grid entirely. Reuel Leach, a top member of Kipi objected to efforts to classify Kipi as a pyramid scheme. “We operate just like the banks. We borrow each other money [sic] and ask for it back with interest,” he contended. Accounts were frozen and members could not access the system for over two months, he said. 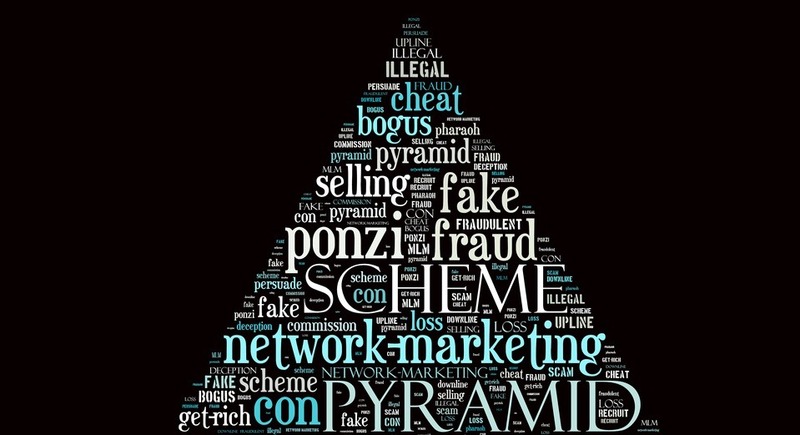 Commission spokesman Trevor Hattingh confirmed that Dipesa, a network marketing business selling prepaid electricity and airtime did not appear to be a pyramid scheme. “The rest of the schemes required further assessment and because we do not have forensic capabilities we passed that information to the police,” Hattingh said. WorldVentures, one of the largest schemes, threatened legal action against the commission. As a result, the commission will not be publicising any of its findings on the schemes. Senior director of corporate affairs at WorldVentures, Laura Wards refused to comment. Following the hack, the MMM scheme, founded by Russian convict Sergey Mavrodi, asked its members to refrain from using their real names and withdrawing large sums of money, as Sarb could identify them this way. The government was concerned that members were evading tax, said MMM leader Tumi Wealth. “We are willing to pay tax should they make provisions, but they must stop treating us as criminals,” he said.